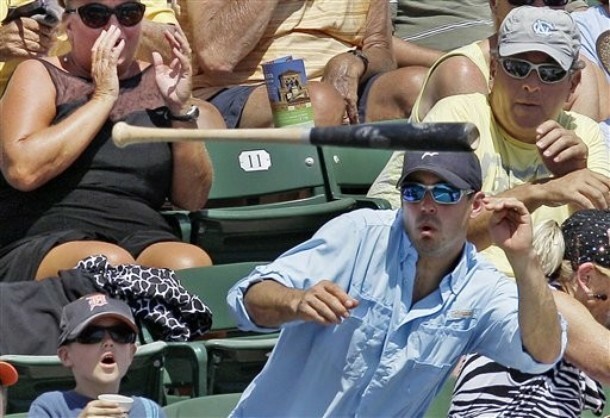 I am ugly enough without being smashed in the face, good thing I don’t like baseball. 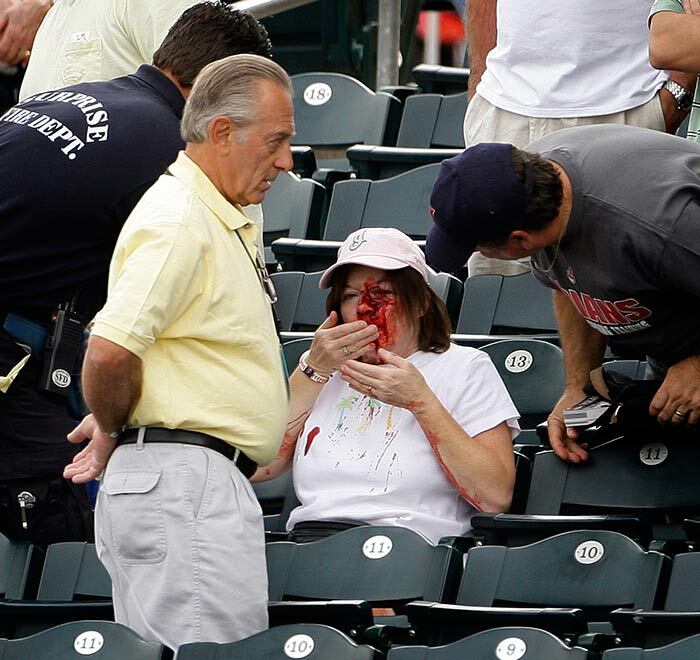 An unidentified fan is assisted after being hit by a foul ball hit by Cleveland Indians’ Kelly Shoppach during the second inning of a spring training baseball game against the Kansas City Royals Tuesday, March 3, 2009 in Surprise, Ariz. The game ended in a 9-9 tie after ten innings. Fans duck for cover as the bat of Baltimore Orioles’ Ryan Raburn flies into the stands during the third inning of a spring training baseball game against the Detroit Tigers in Sarasota, Fla., Friday, March 30, 2012.